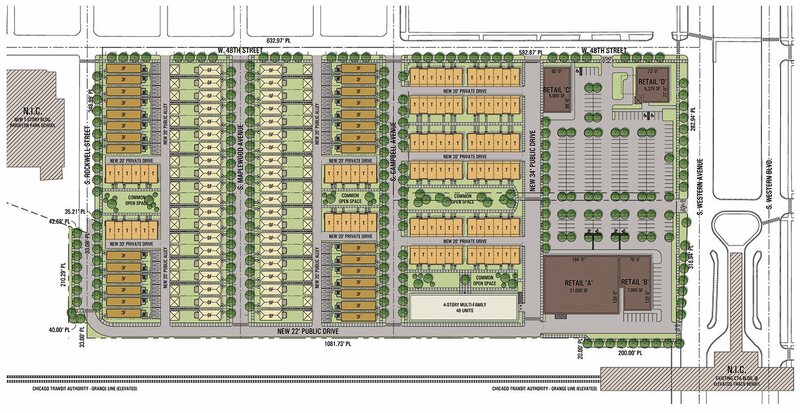 This proposed development seeks to revitalize a 22.3-acre, abandoned industrial site in the Brighton Park neighborhood with housing, retail and institutional components. Continuation of the surrounding community and restorations of existing street grid connections was a primary consideration. The master plan situates 271 dwelling units, in a mixture of multi-family, townhome, flats and single-family configurations, around common green spaces that provide valuable recreational space for the community’s use. 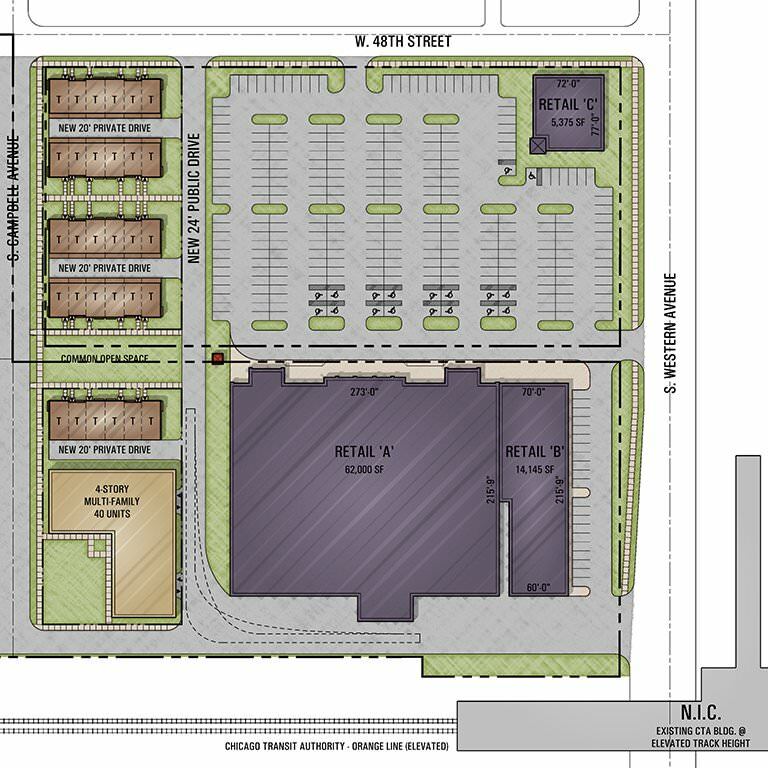 A retail center anchored by a grocery store buffer the residential portion from Western Avenue. Working with the Chicago Public Building Commission, a three-acre parcel was allocated for a new public elementary school on the site.